A very proud Harry. Staffordshire U12's 2012 Champion. 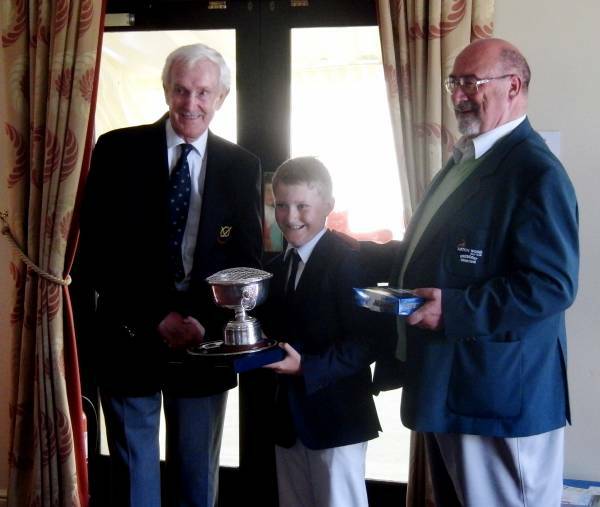 On Wednesday 25th July the prestigious junior golf event was held at Aston Wood Golf Club. Harry Fearn secured 1st Place with a fantastic score of 80. This is 9 over the course par. Harry was thrilled to win this event. His current Club handicap is 10. Many congratulations to Harry for this fantastic win.